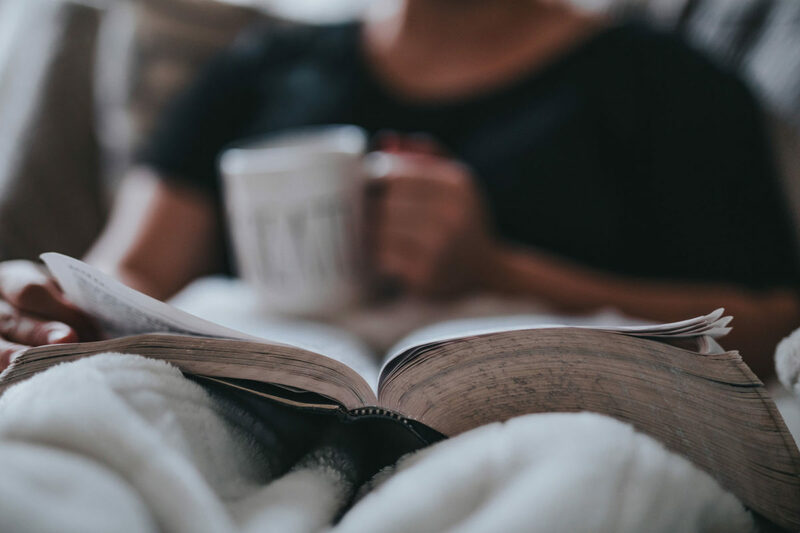 Before I begin giving ideas about how to have an effective quiet time or how to intentionally spend time with the Lord, I think it is really important to make sure you know how significant the Bible is. I have noticed in my own life (and in our society) how much we don’t acknowledge how absolutely inspiring the Word of God truly is. Every page in this story reveals who God is, attributes of Him, promises He makes, and so much more. It says in 2 Timothy 3:16 “All scripture is inspired by God and is profitable for teaching, for rebuking, for correcting, for training in righteousness” (CSB). The Greek word for “inspired” is theopneustos which means “God-breathed.” Many of us go about studying our Bible to teach us how to live, but we need to shift this view and have our ears turned to understanding God’s testimony of Himself. Reading with a God-centered, rather than a me-centered perspective changes everything. My definition of quiet time is an intimate time of worship and study only between you and God. Reading His word to find learn His characteristics. Having a conversation with Him and spending time with Him. Praying, reading and studying your Bible, listening to biblical worship music, journaling your thoughts and prayers down, getting quiet to focus on how He is speaking in your life. Intentionally taking time out of each crazy busy day to spend time with your Creator. Quiet time is the choice to intentionally focus your eyes on The Lord and to learn His essence so that you can reflect your life in His image. For me personally, I know that I love to start my mornings praising my Savior. I’ve developed a habit to be with Him every morning. I start my time by praying. I praise God for who He is, for waking me up that morning, thanking Him for all that He has done in my life and all that He will do during that day, and then I focus the prayer on my personal study. I pray for Him to reveal His truth, promises, and character to me, and I pray that my mind would not be distracted. Once I finish praying I am sure to turn my phone on do not disturb so it won’t be a distraction. When I read the Bible I like to underline and highlight areas that stick out to me, words I don’t know that I need to look up, characteristics of God, key phrases that repeat, and questions that I have. It’s reading with a purpose and a perspective focused on the bigger story that the Bible tells overall. A great study method that I have found useful is “Observation, Interpretation, Application.” Observation is looking at what it says, what the author intended you to read from the book or chapter, re-reading it to gain understanding, knowing the background and time period it was written in. Interpretation is figuring out what it means, looking at other books in the Bible to cross-reference what you have just read, putting the text in your own words to really invest in it. Lastly, application is taking what you just read and figuring out how you are going to let it change you and what should you do in response to reading it. Once I have gone through my daily study I love to end my time talking to God. When I pray at the end I tell God how I ask Him to show me how to apply His word to my life that day, I tell him what I learned about Him and how thankful I am for who He is. I then go to Ephesians 6:10-18 and pray the armor of God on my walk for the day so I am protected from the world and focused on being bold and strong for Him in every way. I think that it is important that when you have a quiet time it is truly a QUIET time. Make it a moment between you and God. Find that quiet, cozy spot in your house, outside in your backyard, or at a coffee shop. Make sure that there is no way to be distracted. Turn your phone off. Wake up before your kids or do it after they go to bed. Move your work papers away, or the magazine that can capture your eye and steal your attention. Take this time to enjoy His presence. Journal what is going on in your life and things that He is revealing to you. Talk to Him the way you would talk to a friend. Start making this a routine that will become a habit, because if you truly want Jesus in your life you need to start including Him in your life. Ask Him that you would have a desire to have this time. Do it because you want a deeper relationship with Him. Love spending time with God, because He loves spending time with you.